High-precision equipment for measuring the Cryoscopy (freezing point) of the milk and for identifying fraud by added water. 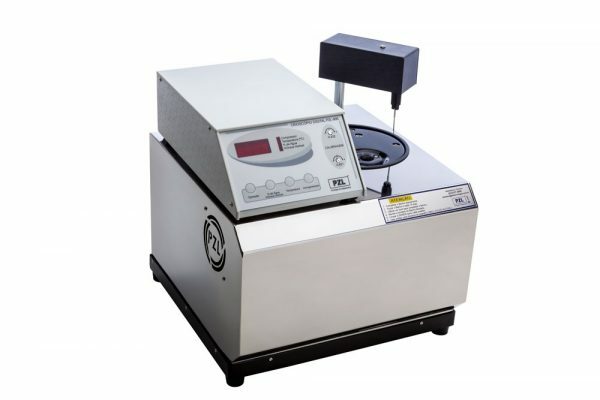 Automatic operation: the operator only doses the sample, the operation is done automatically by PZL 900, including the calculation of the added water percentage. Reducing the risk of "human error" and also allows the operator to do other activities while the analysis is done. Manual calibration: the operator calibrates the equipment manually. Reading the results: digital display indicating the freezing point index (°Hortvert) and, when pressed the "% water" button, indicates the added water percentage. Tropicalized cooling system: normally operates at room temperatures from 0°C until 42°C, without the need for any forced air conditioning or cooling system equipment. Automatic error detection: whenever the PZL900 identify a fault done by the operator or some difficulty of the equipment to perform a sample analysis, the error message will appear (EEEE) on the display. Structure in stainless steel and aluminum: guarantee long years of durability without rust. Click here to compare the Cryoscope models! Operating range: freezing point 422 (-0.422°H) 621 (-0.621°H). Average time of analysis: approximately 2.5 minutes. Sample volume for analysis: 2.5 ml. It uses 500ml of refrigerator Bath Solution composed of: water, glycerin and alcohol. Resolution: 0.001°H or 0.2% water. Precision (repeatability): ± 0.002°H or ± 0.4% of water. Room temperature for operation: 0°C to + 42°C. Power: 220 Volts, 60 Hz. PZL 900 dimensions: 330 x 370 x 370 mm. Transport box dimensions: 450 x 550 x 450 mm.